Bill Youhass left his Fall Creek keyboard percussion shop near Rochester, New York and drove north to Toronto for a short vacation and to celebrate a Baltimore Super Bowl victory. Bill’s a true sports fan and my wife and I were looking forward to cheering on the Ravens. (The Ravens should be the Colts, but that is a story too painful to write. Anyway, the Ravens won.) A few hours before the game Bill and I wandered along King Street West and on the way home stopped in Zoe’s Cafe. We ordered lattes, found a comfortable place to sit and began talking about percussion instruments. The conversation drifted around to our experiences exploring instruments while students. Bill mentioned a triangle he discovered as a youngster. It had a slight chip on one side which if struck exactly, produced an amazing sound. During an orchestra rehearsal he played on that spot and his world changed. The sound of that triangle went throughout the orchestra lighting up all the other sounds, setting him on a percussionist’s path. Prior to his tuning career, Bill played with The Percussion Group Cincinatti. Bill’s story reminded me of a triangle I had purchased via telephone after reading a Sunday New York Times article about a triangle maker in rural Louisiana (30 April, 2006). For years Dieu Donné Montoucet (Don) had been combing the countryside in ever-growing circles, harvesting antique tines from old farm machinery. Properly tempered, these tines were durable, rang true and had a penetrating sound much admired by Cajun afficionados. The Times article contained a photograph of Don in his workshop with triangles hanging on a cord behind him. 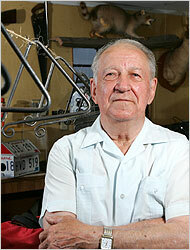 As Don’s business grew, he had to search farther and farther afield to find the proper metal. Antique tines were becoming scarce. The future of these Stradivarius or Montoucet triangles looked grim. The Savoy Music Center in Eunice, LA sold Don’s triangles, so first thing Monday morning I telephoned Louisiana information and asked for the Savoy’s phone number. I was soon talking to a woman I took to be one of the owners. I had called just in time. When I told her I wished to buy three triangles, one of each size, she said it wasn’t possible. She too, as well as many other people, had read the Times article and now she had only 3 left. One had already been sold and one had to be kept in the store for display. That pretty much narrowed it down, so I took the only triangle left, an 8 inch model. I sent her a check and not long after, the instrument so prized by Cajun musicians everywhere, was in hand. Now, what to do with it? The first time I used that beautiful instrument was in a piece of contemporary music written for Nexus by Linda Smith. Linda lives in Toronto with her husband and fellow composer and percussionist Rick Sacks. 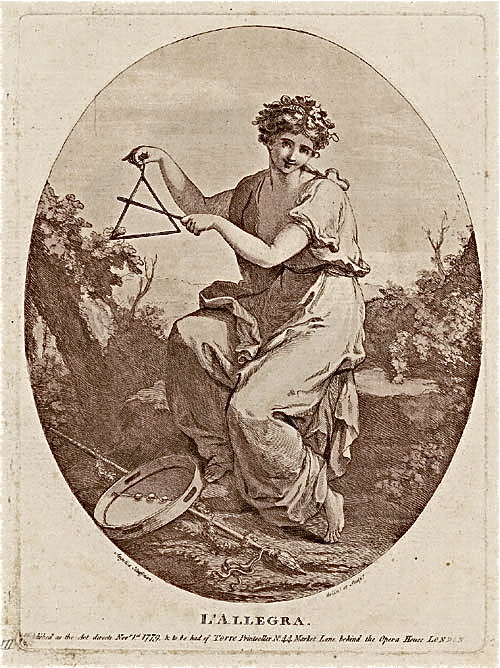 Linda wrote a wonderful, delicately spacey work wherein, among other things, each member of Nexus needed a triangle. 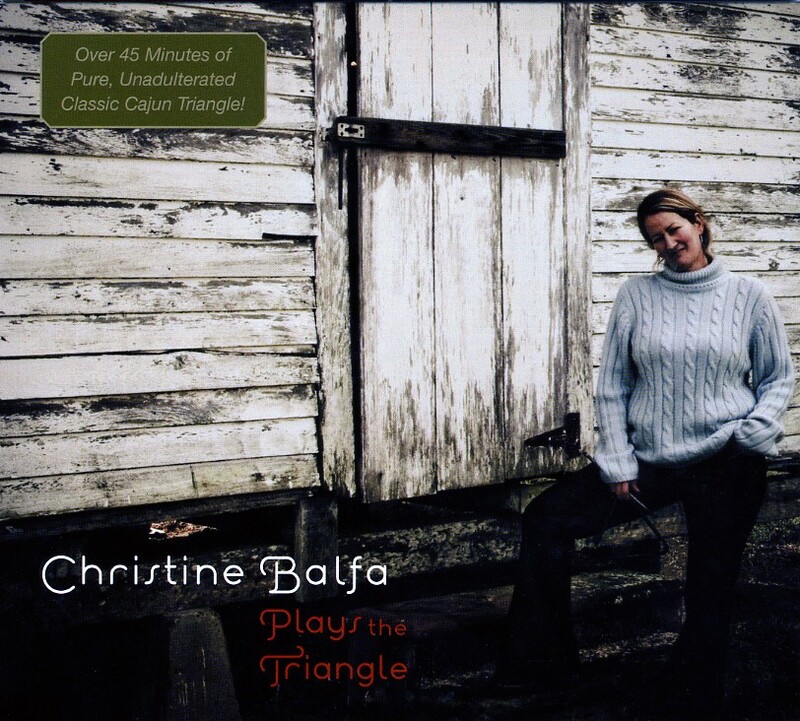 In 2008, I purchased a CD by Christine Balfa (b.1968), a musician and daughter of Dewey Balfa, founder of the Balfa Brothers Band, now an iconic group in Cajun country. Christine learned the music as a child and played triangle in her dad’s band. 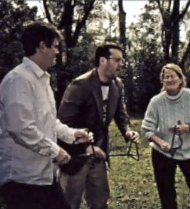 When Dewey died in 1992, Christine put together Toujours Balfa in Basile, Louisiana. She sings vocals and plays rhythm guitar. Alas, my Dieu Donné Montoucet triangle is of recent vintage, 2006. I’m cogitating on what to do with this treasured instrument since I’m no longer playing. But for now, I keep it close and every now and again, play a note or two, or three, or . . .
As background, we had watched quite a bit of Super Bowl ‘pre-game’ appetizers on Saturday afternoon and evening as well as Sunday morning, something I NEVER, EVER do. In fact it is unusual for me to watch the entirety of any football game. Nevertheless we watched, as did Eleanor, whom anyone reading this knows is one of Earth’s planetary treasures. I tried to soak in whatever information I could concerning the belligerents in the upcoming game. This was all after I arrived Friday around 2 pm and we sat down to a lunch that included the most delectable broccoli soup one can imagine. Sunday afternoon Eleanor suggested that Robin and I go for a walk. As we were about to exit the lobby, having been filled with all the information one could possibly desire (and a lot one would rather do without) about the two teams, I had a sudden epiphany. I said to Robin, “ The Ravens are going to win 56 to 9.” He just looked at me with that smile he has for such situations when he is confronted with total lunacy. But, being the diehard Ravens fans that he and Eleanor are, and while I don’t remember his exact words, he did not contradict me. So we had our walk, including the wonderful discussion in Zoe’s Café and returned. Then.. KAZZAMMM. Either Beyonce Knowles used up all New Orleans’ juice or the San Francisco electric gods took over and just shut everything down. End of the Ravens mighty MO! At that point it became what 49er fans might call a game. Not for me. I was with the Engelmans on this one, looking for a big Ravens win (I was their guest, after all.) Plus, I had grown up watching the Yankees of Mantle, Berra, Maris, Ford, Lopat, even DiMaggio at the REAL Yankee Stadium, where the bigger the blow out the better. This was back when “rooting for the Yankees was like rooting for U.S. Steel.” I have since matured somewhat and mostly corrected my youthful ways; with the exception of the Batavia Muckdogs, of course. When play resumed, the 49ers threw everything they had at Baltimore. The RAVENS bent, fought back and at the end stood behind their stone wall, and would not break. Nevertheless, my prediction was off by more than I cared to admit. However, one salient point.. I did, in fact, get the number of total points correct. Monday morning, as we enjoyed breakfast before my departure for Upstate New York and the world of rosewood dust, Robin spoke of ‘the triangle.’ He then brought that beautiful creation with the curlicue ends to the dining table and, as we were finishing our coffee, ten floors up, overlooking a bright, sunny downtown Toronto, serenaded Eleanor and I with a recital of the most delightful Canadian Cajun sounds.